The Ink Trap: The Blue Bird of Happiness! Hey, all! 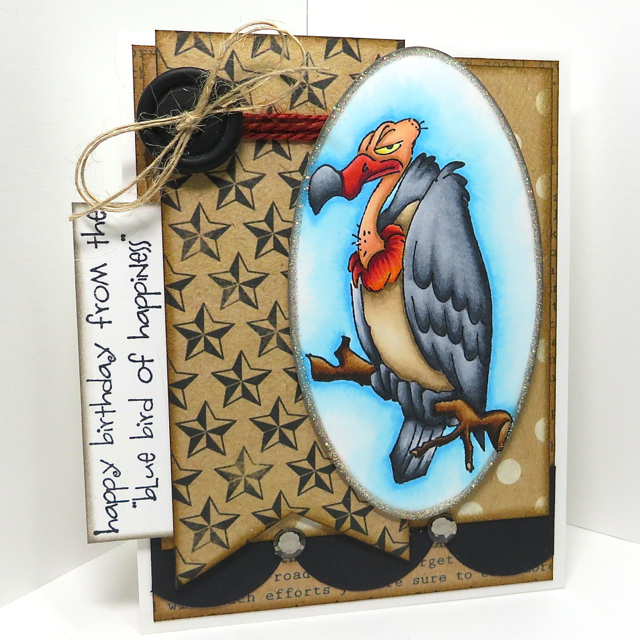 Back today with a card I'm sharing on the Art Impressions Blog. This guy is from the Buzzard Set and makes me chuckle every time I see him. It harkens back to that gag that Johnny Carson used to do on the Tonight Show many moons ago. Anyway, find this handsome devil in the Ai Shop along with tons more images. 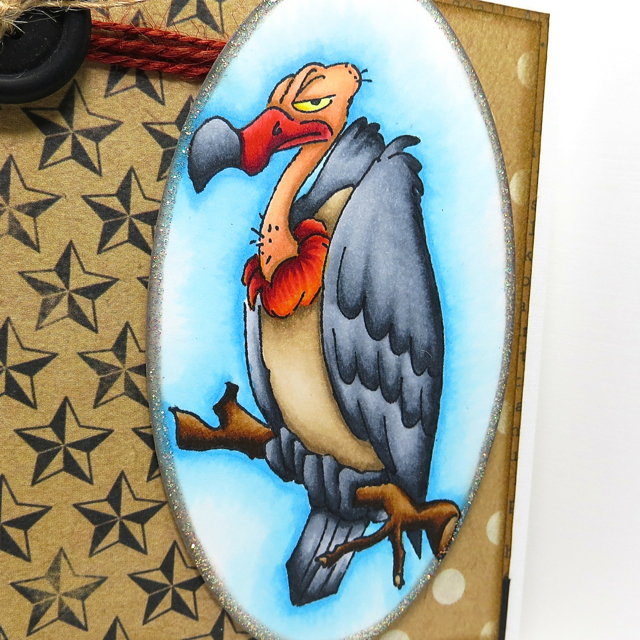 Also, be sure to hit the Art Impressions Blog daily for something new from the Design Team. Thats it for now! I'll catch you tomorrow with something new. Until then, stay crafty!